AIM Retail Partners, LLC Dba AIM Website Management is an advocate of giving back to the community. We make it a point to volunteer time each year to help out various non-profit organizations. If we could, we would do nothing else but support all of the great non-profits out there. However, we have to make a living so our projects are selected carefully. In an effort to make the Prescott Firefighter’s Charities reach more effective, we built the first fully functioning website for Prescott Firefighter’s Charities in Prescott, Arizona. We developed the new WordPress website back in 2010 and continue to support the organization with the site to this day. We never charged them a dime to build it – all time was donated. This organization is dedicated to community service in the Prescott area, so we were glad to help. On June 30, 2013, when we lost our Granite Mountain Hotshots, AIM immediately stepped up and incorporated fundraising into the site. The fundraising information and opportunities incorporated into the website were directly responsible for generating over $1,500,000 in donations for the families of the firefighters lost. During those two weeks after the tragedy, we spent the vast majority of our time assisting with obtaining donations and responding to the incredible support from around the world. We read over 2,000 emails within two weeks after the accident, and responded to many of those. This was an emotional time for our staff, but we were proud to do it. This Prescott-based non-profit organization currently provides family-centered services to families with children birth to age three who experience developmental disabilities/delays. The service area encompasses all of Yavapai County. HCEI provides early intervention services in a team based approach, and services include speech therapy, physical therapy, and occupational therapy. AIM created their first website website for no charge, and we still work to keep the website running. This website is a popular tool for families looking for services in High Country’s service area. AIM currently provides hosting, security, software updates, and support. In addition Matt Fay, owner of AIM, now serves on the organization’s Board of Directors. In February of 2016, AIM built a new eCommerce website for the Eric Marsh Foundation. This foundation’s mission is to assist next-of-kin of wildland firefighters killed in the line of duty and wildland firefighters with PTSD. We built it for free, provided full support, training, and hosting for free for two years. That was enough time to see the organization grow and become able to take over the website duties. 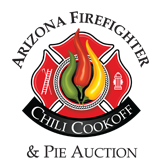 In 2012, the AZ Firefighter’s Chili Cook Off in Prescott, AZ was created by Matt while working as a firefighter with the Groom Creek Fire District. Matt managed and ran the event in 2012 and 2013. The event was a fundraiser for the AZ Cystic Fibrosis Foundation, with some proceeds donated to the Groom Creek Firefighter’s Association. In 2012, the event raised over $1500 for Cystic Fibrosis, and over $1000 for the Groom Creek Firefighter’s Association. We doubled that in 2013, raising $4500 for the Cystic Fibrosis Foundation and $1500 for the GCFFA. The Groom Creek Firefighter’s Association (GCFFA) is the charitable organization of the Groom Creek Firefighter’s Association. The GCFFA provides scholarship opportunities for firefighters, as well as support for residents in the Groom Creek community. Some of the charitable organizations that the GCFFA donates to include the Cystic Fibrosis Foundation, the 100 Club of Arizona, the Yavapai Humane Society, the AZ Burn Foundation, and the Red Cross. AIM Retail Partners donated our time, hundreds of hours, in the planning, organizing, and marketing of many of the GCFFA events. 1. Assisted in creating the “United We Stand Prescott” event in September, 2010. This was an event that was designed to generate donations of goods to be given to our troops overseas. We developed the online marketing for this event. 2. The staff and families of AIM regularly volunteer at area charitable fundraising events. 3. We built a fundraising website for the Prescott Hotshots so that they were able to raise funds for the families of the Granite Mountain Hotshots lost on June 30, 2013. This website was responsible for generating over $250,000 in revenue to be donated to the Granite Mountain Hotshot Fund and the Wildland Firefighter’s Association. 4. We are currently active in running and cycling events, with a particular interest in events that raise funds for charity. Through these events, we have actively raised donations for St. Jude, Toys for Tots, Yavapai Humane Society, and more. We make a point to do two or more of these events every year.